Mali Mish - Day 123: Beach day at Anastasia State Park. 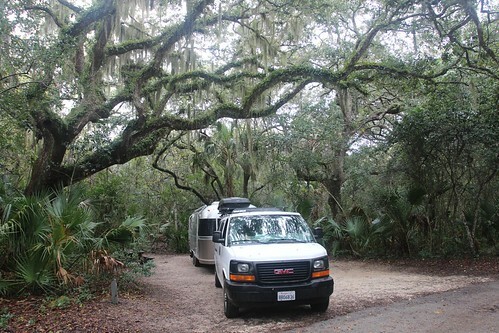 The site we got at Anastasia State Park was beautiful. We would have stayed here longer if it wasn’t for our reservations tomorrow at Fort Wilderness and if Anastasia wasn’t already booked solid. We decided that we would head down to Orlando later this evening and boondock somewhere so we can try to get an early checkin at Fort Wilderness. 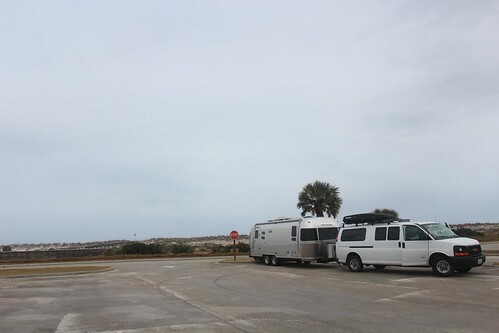 We had the whole day to hang out and we decided to park at the day use area by the beach. There is a restaurant and visitor gift shop right by the parking lot and they had free wifi there. Since it was a Monday, hardly anyone was here at the day use parking lot. We parked in a spot close to the wifi hot spot and piped into their relatively fast connection for the day. 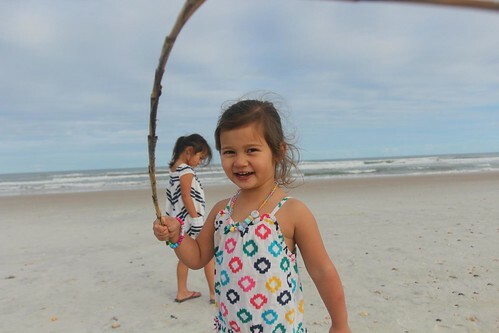 I needed to get some work done before the lure of Mickey, Minnie and the princesses magically occupies all of our waking hours for the next 4 days so I hunkered down for awhile and send the kids off to play. 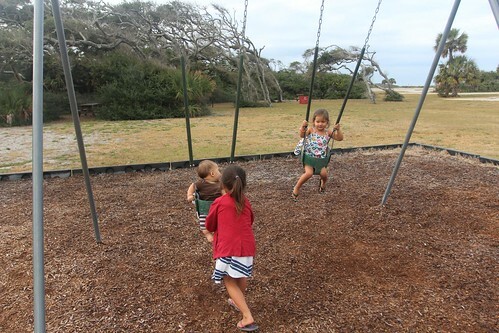 At every campground, we try to get a spot closest to the playground if they have one. The theory is that we can watch them play from the comfort of the Airstream but it never quite works out that way. They always want one or both of us to help them with something. Just recently, after Ava learned how to pump herself on the swing, she has also been offering to push Mila and now Luka on the swings as well. I can see this child labor thing working out for us. 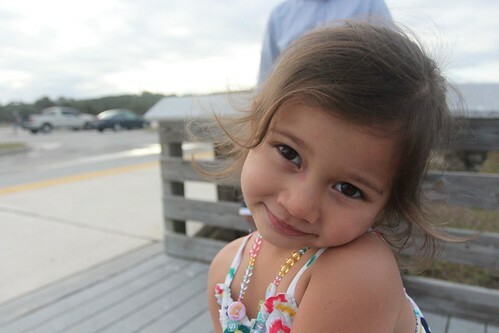 I can’t wait for Ava to get old enough to start babysitting her sister and brother. 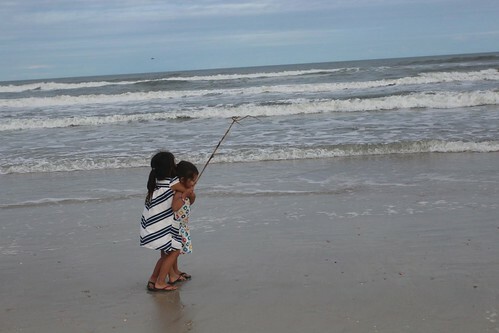 Of course there is still the usual fighting-over-a-stick-on-the-beach shenanigan we have to deal with. Mila is a pretty big three year old and sometimes she wins these little battles. 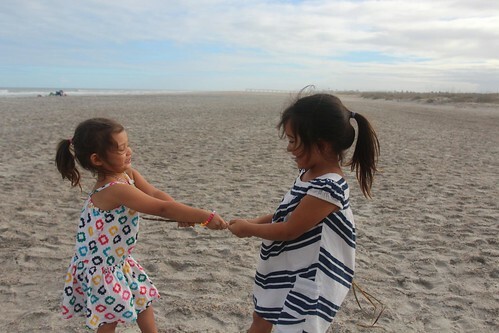 But Ava is always quick to remind her who is the big sister in the family. 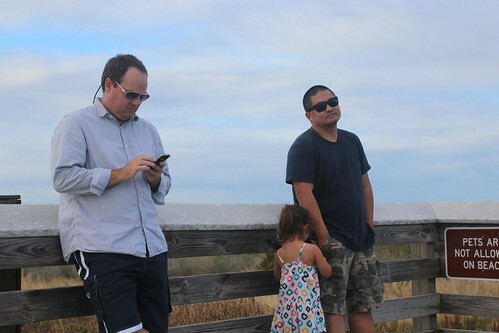 Kyle came out to the parking lot during a break from his work to hangout with us at the beach for awhile. He has been a great caravanning partner for the last few days. Most people, especially those who don’t have kids, would probably not want to deal with the hassle of traveling with ones as young as ours. Kyle was great with our little ones and they are going to miss him as we go our separate ways. 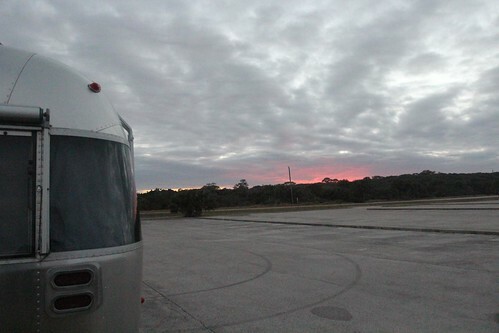 As evening approached, we packed up once again and headed south towards Orlando. We are going to try to meet up with Kyle again later in the winter. He is flying to spend the holidays with family while we head down to the Florida Keys for Christmas and New Years. The 200 miles to Orlando meant that we got there pretty late in the evening. Since our visit here in 2010, the Walmart we had previously boondocked at near Disney World has really clamped down on the overnight parking restrictions. On Allstays.com, an overnight parking online resource, some RVer said that security from the store actually knocked on their door and asked them to leave or be towed. We made our way to the Cracker Barrel just outside of Disney World and decided to settle there for the night. 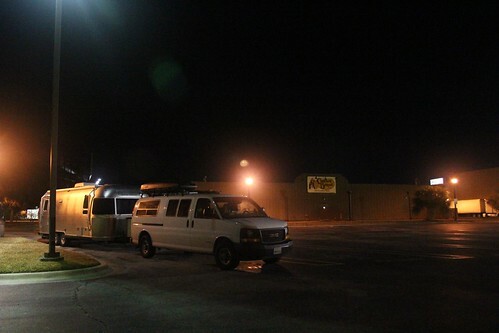 We have been to lots of Cracker Barrels but for some reason have never stayed the night in their parking lots. At least we know where we will be having breakfast tomorrow morning. 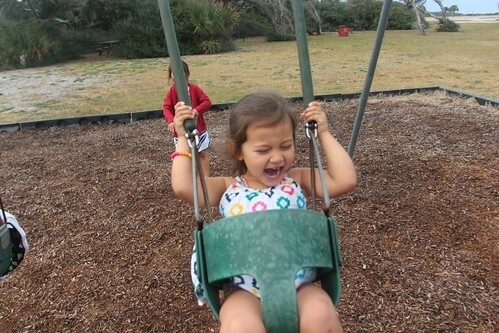 7 Responses to Day 123: Beach day at Anastasia State Park. 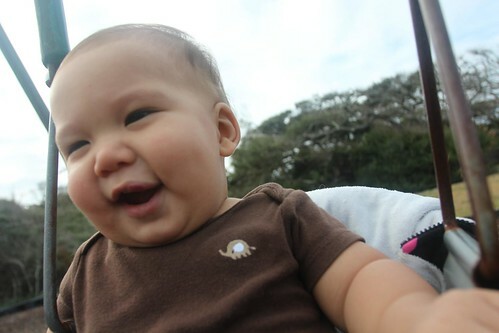 Your little ones are a joy to be around…Kyle should be so lucky! Luka provided me with the g’ma fix I needed at ‘Fandango! Happy to hear all is well! The kids are awesome! Can’t wait to see them again in a few weeks! Rich, we did the usual touristy stuff around St Augustine on our last trip just for the day. It was REALLY hot. Would love to hear about your favorites things to do around there! Drop in on your way back and we’ll talk. 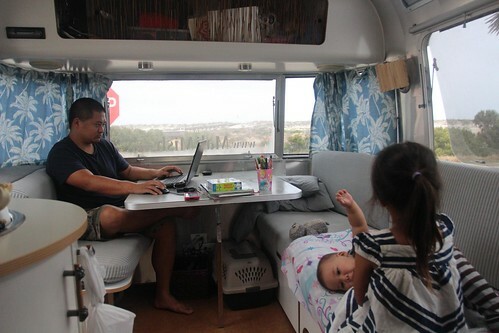 Looks like the Channel Surfing With Gas folks may also be here in Feb. That plus Alumafiesta means we are going to have a ton of Airstream visitors in Tucson! Sounds good. We will let you know once we have a better idea of when we will be in Tucson. Looking forward to it!